High blood iron level is usually caused when the body absorbs too much iron from dietary sources and the condition is called hemochromatosis. The hemochromatosis usually can be diagnosed early due to the routine blood check-ups or when the blood iron levels are checked to screen the family members suffering from hereditary hemochromatosis. Usually, the hemochromatosis is asymptomatic and can also be diagnosed when blood levels are checked for liver enzymes, AST and ALT for abnormal elevation. What Causes High Iron Levels? What Are the Symptoms of High Iron Levels? The commonly seen symptoms include decreased libido, enlarged or painful liver, fatigue, irregular heartbeats, joint pain, lethargy or malaise, muscle weakness, musculoskeletal pain, discoloration of skin (bronze or gray color), hair thinning and unexplained weight loss. High blood iron levels should be checked and treated to avoid complications. Symptoms like abdominal pain, enlarged liver, fatigue, irritability, mood swings, severe pain and skin color changes should be checked immediately. Usually, diagnosis of high blood iron levels can be done through several methods, including physical examination, family history, blood test and finally biopsy. Doctors usually begin by taking detailed medical and family history to diagnose hemochromatosis. Any clues, family history of arthritis or liver disease, that indicate hemochromatosis, can also help diagnose the condition. 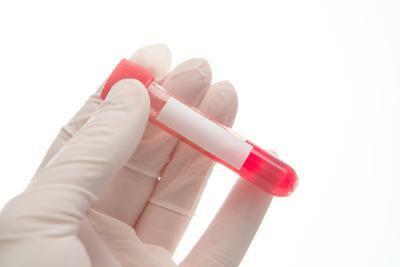 In a blood test, a blood sample is sent to laboratory for analysis to diagnose high blood levels. Transferrin saturation value of more than or equal to 45 is considered abnormal. Also, the level of the iron bound to protein is checked. The other test is the serum ferritin test where level above 200 μg/L in women and 300 μg/L in men is considered abnormal. Here the ferritin levels are checked, and usually the level indicates the protein that stores iron. In case both the tests have abnormal results, special blood test to check the C282Y mutation is performed. Liver biopsy involves taking a piece of liver tissue for microscopic examination to determine damage or disease of the liver. Local anesthesia is given and needle is inserted to extract the liver tissue. Sedatives or pain killers might also be given to the patient. Ultrasounds or CT scan may be used to guide the needle to the liver during the procedure. A pathologist will check the tissue and make the diagnosis. The biopsy will reveal how much iron has accumulated in the liver, which can indicate if there is any liver damage. Hemochromatosis can be treated by performing a simple procedure called phlebotomy. In this procedure, blood is drawn from the patient periodically. Depending on the serum ferritin levels, a pint of blood is removed once or twice a week. The duration will also depend on the iron level in the body, ranging from several months to a year. Blood test are done to monitor the ferritin levels and usually is kept at 25-50 μg/L. These tests then need to be done every 6 months to determine how frequently blood should be drawn. People suffering from high iron levels can absorb up to 30% of dietary iron as compared to 10% of normal individuals. However, if the patient is undergoing phlebotomy, they should continue eating regular diet without excluding any iron containing foods. Also, since the risk of developing cirrhosis and liver cancer is high in hemochromatosis, people suffering from the condition should avoid consumption of alcohol. Vitamin C helps in iron absorption and hence patients should avoid supplements of vitamin C, as iron overload can cause abnormal heart rhythms. Patients with hemochromatosis are at risk of getting bacterial infections which flourish in iron rich environment; hence, they should avoid eating raw seafood.